Swedish folk singer and songwriter Kristian Matsson, aka The Tallest Man on Earth, performs 7 p.m. April 27 at ACM@UCO Performance Lab, 329 E. Sheridan Ave., in Oklahoma City. Tickets are $25, and go on sale 10 a.m. Central Time Oct. 26 at eventbrite.com. Matsson is often compared to Bob Dylan, both in ability and vocal style, and admits that he’s long been inspired by American folk artists like Dylan, Pete Seeger and Woody Guthrie. That said, he’s no folk traditionalist. The classically trained guitarist, inspired by English guitarist and singer-songwriter Nick Drake, has developed an intricate playing style using various open tunings. His 2019 tour comes on the heels of three months of touring — both overseas and stateside — selling out nearly three-fourths of his dates on a trek spanning from Germany to the Netherlands and Massachusetts to California. His most recent project is the five-part series “When The Bird Sees The Solid Ground.” Each song is a new, original studio recording that includes the simultaneous release of an accompanying video directed by Matsson. The ongoing project is produced as the series progresses through winter 2018 in Sweden and the U.S., with Matsson splitting his time behind the microphone and camera. Beginning March 9, he’ll release a song and video every month. Solo shows in support of “When The Bird Sees The Solid Ground” are planned in select cities worldwide, including the April 27 performance at ACM@UCO Performance Lab in Bricktown. While here, he’ll also participate in a free, public Q&A-style masterclass discussion with ACM@UCO executive director Scott Booker. Details on that event will be announced closer to the event date. Stay tuned for updates and announcements about even more concerts and events! 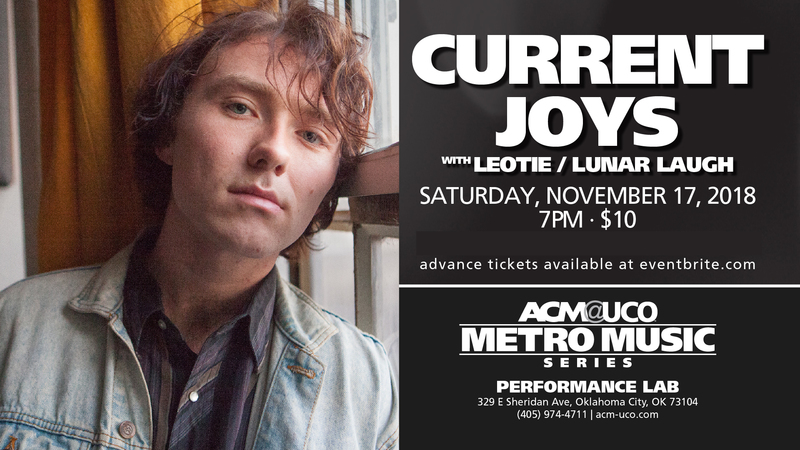 Current Joys headlines a Nov. 18 tour stop at ACM@UCO Performance Lab, 329 E. Sheridan Ave., in Bricktown. Showtime is 7 p.m. Local acts Love Seats and Lunar Laugh (acoustic) open. Tickets are $10, available at eventbrite.com. He eventually chose Current Joys as the permanent moniker, inspired by a song by folk-artist Liam the Younger of the same name. Rattigan’s newest record, “A Different Age,” documents the process of making art and the desire to create it sincerely in an era fraught with extreme irony, apathy and nostalgia. Ripe with many of the emotions and conflicts that influenced the musician’s prior songwriting, “A Different Age” contains some of his most poetic lyrics and thoughtful arrangements to date. Opening the concert is The Lunar Laugh, performing as an acoustic two-piece, creating melodic powerpop filled with harmonies and classic ’60s and ’70s-fueled vibes. The full four-piece band, which includes three ACM@UCO alumni, formed in 2015 and is working on its third album. 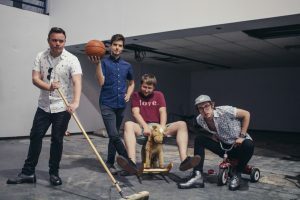 Ashton Gary and Ethan Wilcox comprise musical act Love Seats, which released a single demo, “Track and Field” in February, and its newest single, “Tennis Prodigy (for margot),” a song inspired by the film “The Royal Tenenbaums,” in June. Hear the tunes at loveseats.bandcamp.com. 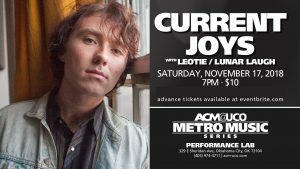 Check in with ACM@UCO Performance Lab at facebook.com/acmucoperformancelab and ACM@UCO @acmuco as we announce additional Metro Music Series shows, events and surprises through the year. For more information about ACM@UCO, visit acm.uco.edu.